By now, you might be as well concerned on how to upgrade your retail operations to automation. Admit the fact that an automated system can fast-track productivity and improve efficiency. We are at the age of advancements. You may have an idea on how Internet-of-Things (IoTs) deliver a great impact to automation. Yet, you still don’t know how to incorporate these things into your retail business operations. But, here’s good news. You can integrate IoT apps to your retail operations on capacitive touch panel PCs. Should you aim for excellence and improved productivity, invest in PCAP technologies today. That would be the smartest decision to make. It is evident that we are already heading to the future. 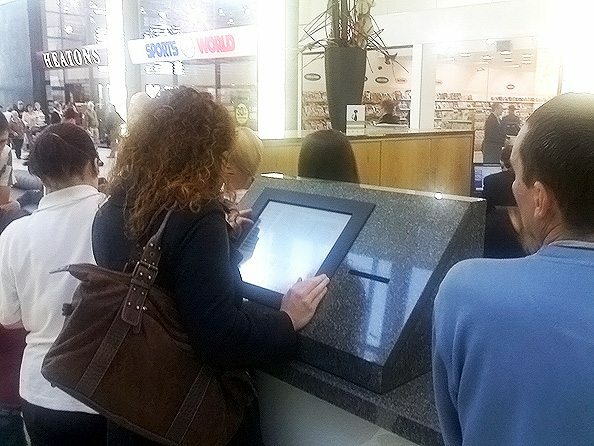 With these user-centred capacitive touchscreen technology, retail operations become easier and more convenient. Besides, goods are always on-the-go in most retail businesses. That is why a built-in touchscreen technology is much needed. Take note that our industrial PCs have high IP rating and NEMA sealing. It is suitable for frequent public usage. It is also applicable for warehouse logistics to the distribution of goods. But, of course, wouldn’t it be best if your retail business goes automated as well? Is your panel PC powered by a compatible operating system? Can it perform a specific function using software applications? Well, our 12.1” PCAP devices are all-in-one computing technology. Its rugged features is well-designed for tough applications including IoT apps. You may think: all industrial PCs are the same. But, can other industrial PCs integrate IoT applications in various retail operation systems? Take a look at this table. Now, always remember that IoT applications and automation need an advanced operating system. It is true that both of these technologies integrate Intel™ systems. But, the S12 panel PC has better advanced operating systems compared to other PCs. It has a high memory space which can gather or exchange data. This network transfers can come from one panel to another retail operations’ system. Thus, it requires less maintenance in upgrading the system. You will notice that other industrial PCs are still using resistive touchscreen technology. This is a feature of touch panel devices where touch sensors are not yet responsive. But, the 12.1” panel PC comes with a projected capacitive touchscreen technology. This PCAP technology makes the device more responsive to touch sensors. What’s more, it is also resilient from dust, heat, breakage and liquid spillovers. Upon evaluating their differences, you would choose the best for your retail business. To wrap it all up, it is quite a huge investment. In fact, the 12.1” capacitive touchscreen PCs have a wide variety of purposes in any industry. These PCAP devices are also placed as advertising displays in public areas. It is even used for logistics and distribution. And, some of these devices are even integrated to point-of-sales (POS) system. Don’t leave your retail business and operations remain behind from these advancements. Customise your own S12 projected capacitive touchscreen displays today.